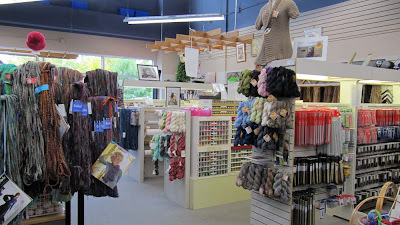 My tour through the yarn stores of Calgary and area continues. 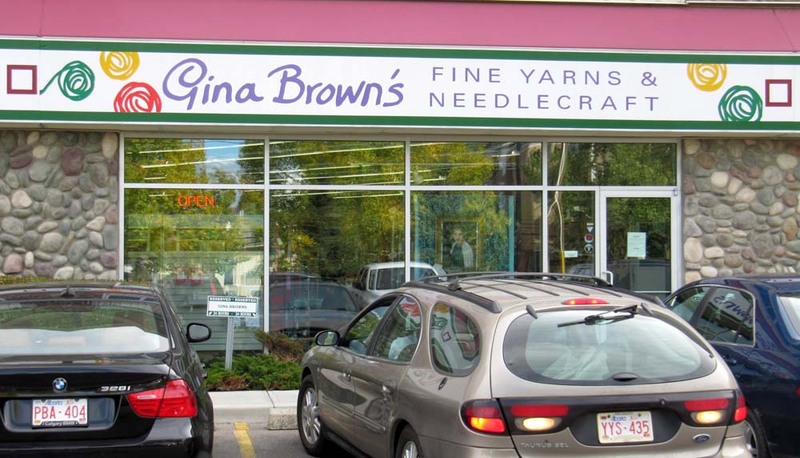 The latest one I visited is Gina Brown's located at 107, 5718 1A Street SW.
Gina Brown was the lady who opened the store 41 years ago. Obviously they are doing something right to stay in business for such a long time. Now it is owned by her daughter, the charming Diana. She and I had a very nice conversation. 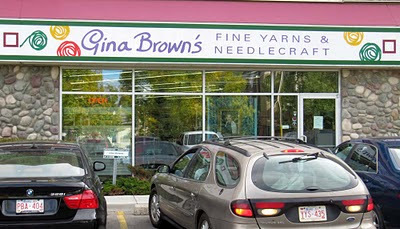 There is also another Gina Brown's located in Vancouver, owned by Diana's daughter, Gina's granddaughter, Kristina. The shop is well-organized, complete with a large variety of yarns in all weights and colors, lots of patterns, needles, notions and accessories. 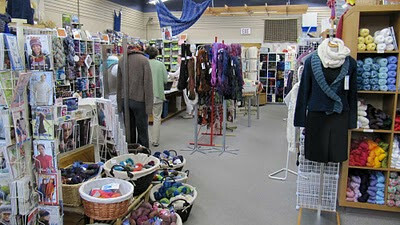 There is an area near the front of the shop for those who are interested in needlepoint or smocking. Some yarn followed me home - enough to make a sweater but it will be a stealth project for a while. This store is across town but well worth the drive. I'll be back. ps...to my friend, Barb B. There was an entire binder full of Cowichan sweater patterns like the ones we bought. I wasn't able to sit and browse as someone else had the binder. Now, I have an excuse to go back to Gina's, as if I needed an excuse! 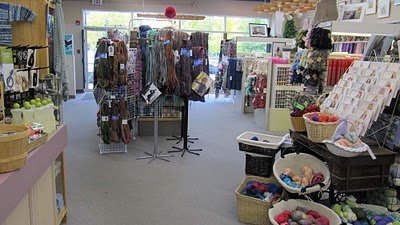 I have one shop left to visit, The Knitting Room. I've heard good things about it and I'm looking forward to seeing it. 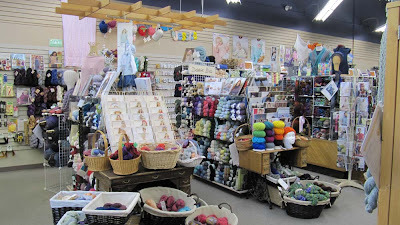 I will also go back to Pudding Yarn as it's been years since I was there. I am all kinds of jealous. You have so many choices! Looks like a great store, how will you ever choose your favorite LYS? !